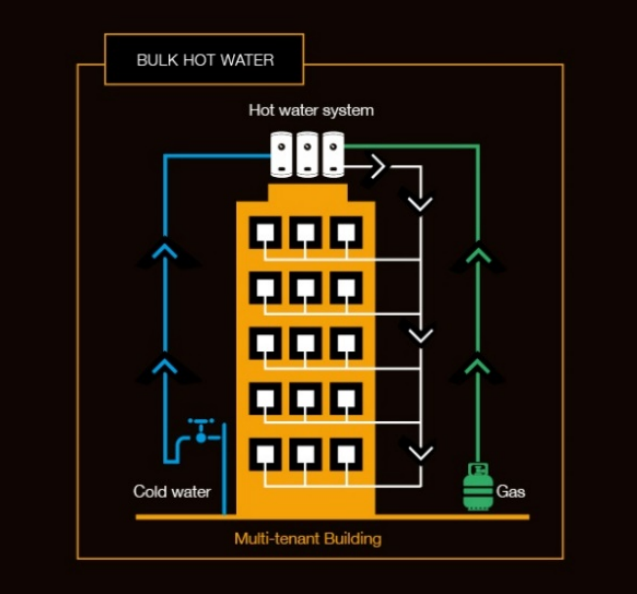 For many multi-tenant residential environments bulk hot water (or centralised hot water) can be more economical and take up less space than individual water heating. Each dwelling’s gas consumption quota is calculated based on the amount of water flowing from the hot water plant to the dwelling measured by the hot water meter, and is reflected on the tenant’s hot water bill. The same bill should also show the amount of “hot water” to the dwelling. 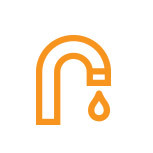 Bulk hot water ensures both serviced hot water billing and hot water metering for both multi-tenanted buildings or apartment blocks or retail complexes. Active Utilities recognised the need to remove the Strata Manager from the Hot Water billing process and has developed a ‘User Pays’ solution. The User Pays model frees up time and resources for the Strata Manager, while streamlining the billing process and providing more competitive tariffs for the tenants. 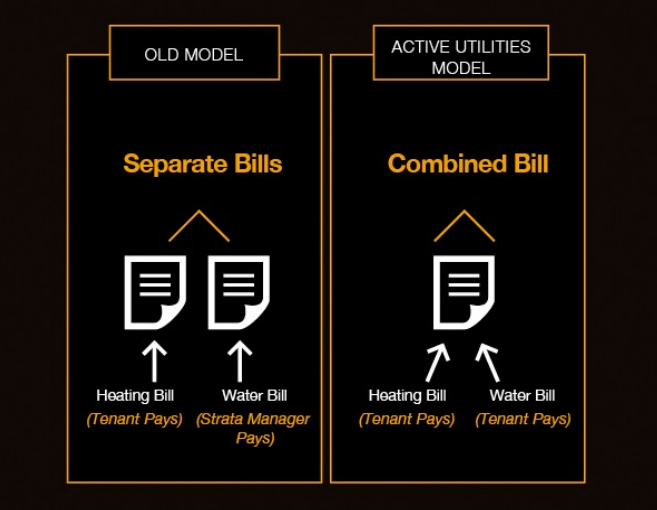 The industry’s traditional or old model (shown here) separates the bill, with the Stata Manager paying the Water and the Tenants paying for the Heating. The Strata Manager is then responsible for recouping this cost on a bulk allocation model.